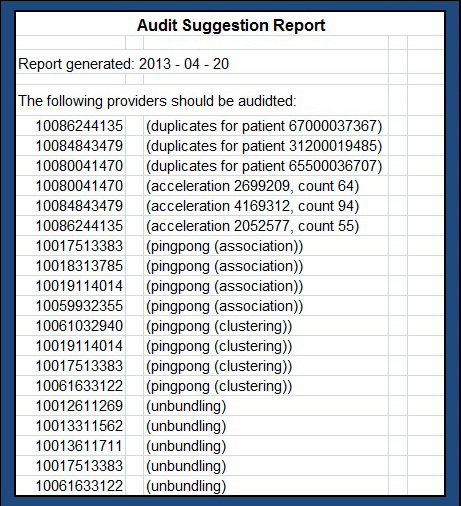 For the duplicate claim analysis, we used aggregation techniques to count the number of claims by each provider for the same patient on the same date. In the case of the acceleration analysis, we used aggregation to calculate the month-by-month incremental change in total billing and number of claims for each provider. The tests identified a number of claims as being fraudulent in the test data set.